Welcome to Point/Counterpoint featuring two of the best football minds in America - Shawn Liotta, founder of the 'No-Huddle, No Mercy' offense and Steve Specht, architect of St. Xavier's 3-3-5 defense and a two-time state champion. 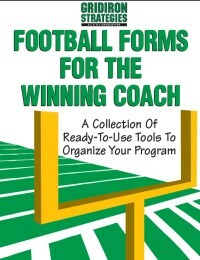 Shawn Liotta created an offense that averaged nearly 60 points per game and became the second highest scoring offense in the history of high school football. His 'No-Huddle, No Mercy' offense also included 12 games in which the PIAA Mercy Rule was in effect. 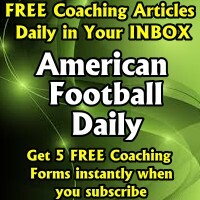 As the offensive coordinator at Clairton High School (PA), his team amassed a total of 958 points over a 16	game schedule. 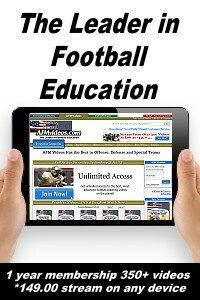 Coach Liotta is now the Head Football Coach at Albert Gallatin HS (PA), has a system package on the NHNM Offense, and has a five-set series of DVDs available at AFMvideos.com. 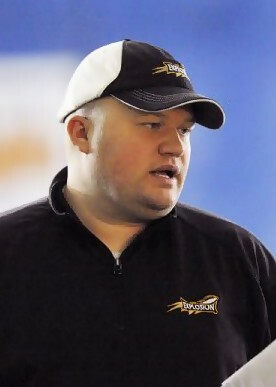 Steve Specht has been head coach at St. Xavier in Cincinnati since 2004. He is the architect of the 3-3-5 defense and a two time state champion. 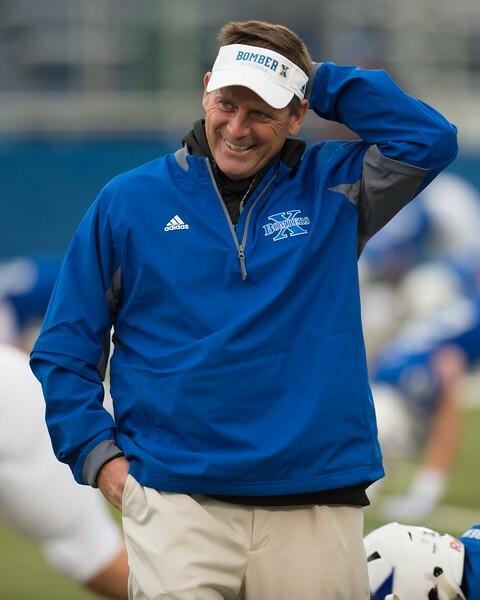 Coach Specht has also been named the NFL High School Coach of the Year and is a two-time recipient of the Ohio High School Football Coach of the Year award. He also has a series of DVDs available at AFMvideos.com on his defense. Point/Counterpoint consists of a series of four different plays with various down and distance situations. Coach Liotta will present his formation on each play and Coach Specht will counter with his defensive alignment. From there, Coach Liotta will execute the play and Coach Specht will defend it. We want to hear from you - let us know who you feel has the edge on each play. Send your comments to Managing Editor Rex Lardner at rlardner@afmmedia.com and we will post the results. 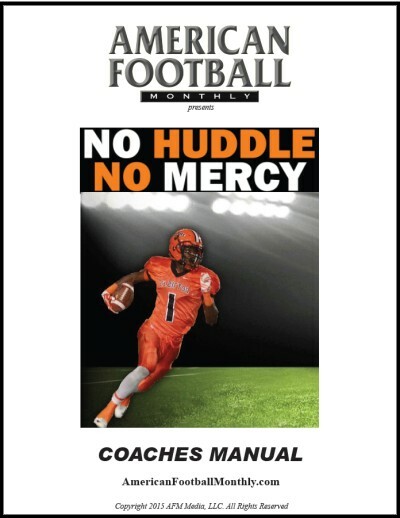 The basic philosophy of the No-Huddle No Mercy offense is to set an extremely fast tempo and force the defense to defend the entire field. We strive for balance between run and pass, but our production is dictated by how the defense chooses to defend us. I have developed a system of dividing the defense into an interior box, perimeter box, and coverage cap. The No Huddle, No Mercy offense has built in answers to attack the defense where we have a numbers advantage or leverage. Some games we have rushed for over 500 yards and other games we have passed for 450 yards - it just depends on how our opponent chooses to deploy their defense. By using multiple spread formations, motions, and shifts we can create favorable matchups for our athletes to make plays in space. Our system of play-calling allows us to get the football snapped within five seconds of the ready for play signal, allowing us to dictate the tempo of the game to the defense. It is extremely difficult for our opponents to simulate the speed at which we operate with their scout teams, and our conditioning allows us to take over games in the second and fourth quarter as our opponent struggles to adjust to our tempo. We utilize limited base schemes but incorporate shifts, motions, and exotic formations to protect our base concepts. In essence we want to allow our players to play fast and not be burdened by overthinking. It is important to have a tool (play concept) in our tool box to fix any issues we encounter, but to not have so many tools in our box that we cannot quickly find the right tool (play concept) that is needed to troubleshoot the issue we are encountering. Each of our base plays have built in answers or what is commonly referred to as "Run Pass Options" allowing us to attack the weakness in any defensive structure. The offense has continued to evolve even after leading the nation in scoring in 2014 (958 points) as I have added several new concepts and tweaks to the system each year that allow us to stay ahead of the latest defensive trends and adjustments. 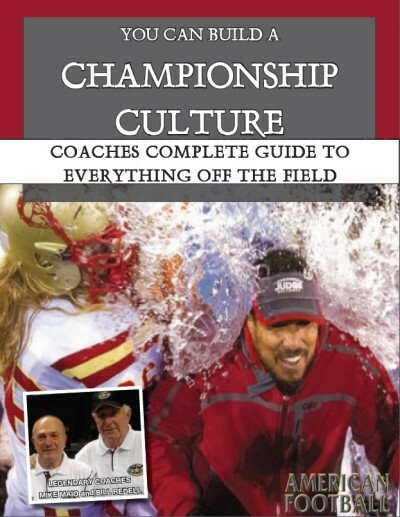 With the advent of “No Huddle-Tempo” offenses and the “System” offenses, defenses have been pressed into establishing concepts that will enable them to play at a much faster pace that is not only “sound” but multiple. 1) Disguise the coverage with three high safeties. This limits the coverage read of the QB. 2) Make the QB read as difficult as possible with the stack alignment (force them to determine who the read will be – end man on line of scrimmage or stack backer). 3) Make the “conflict” player in the R.P.O. multiple. Ultimately, by disguising coverage, pressuring the QB read and consistently changing the “conflict” player we believe we have limited offensive answers and can help to slow down the offense. Defensively, our responsibility is simply to have answers for what the offense is attacking. This requires speed, the ability to adjust quickly without thinking, and the opportunity to be multiple in everything we do.